Super Mario Run, the Japanese Nintendo’s first Mario game for smartphones is now available on Android. The game was previously available on iOS only. 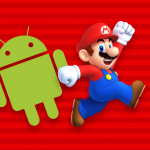 Similar to iOS version, Super Mario Run on Android is a free download. It has a trial of the World Tour, Toad Rally, and Kingdom Builder modes. The courses 1-1 to 1-4 are included for free and requires a one time in-app purchase of $10 to unlock the levels beyond worlds 1-4. Along with arriving on Android, there is also an update 2.0 for iOS version. The update brings new playable characters, including different colors of Yoshi. Moreover, you can play Toad Rally with a Yoshi of a particular color to get more Toads of that color. The game is adding new buildings, making it easier to get Rally Tickets in the Bonus Game House, and adjusted the ease of play in some areas, among other tweaks. Super Mario Run for Android is not the only Nintendo game coming to phones in 2017. In fact, there’s much more to come from Nintendo side. Earlier Nintendo prepared Role Play Game (RPG), Fire Emblem Heroes for Android which came to the Google Play Store first before iPhone users. The Fire Emblem Heroes was released on Android on February 2. Further, we’ll be seeing an Animal Crossing Game coming to both platforms.